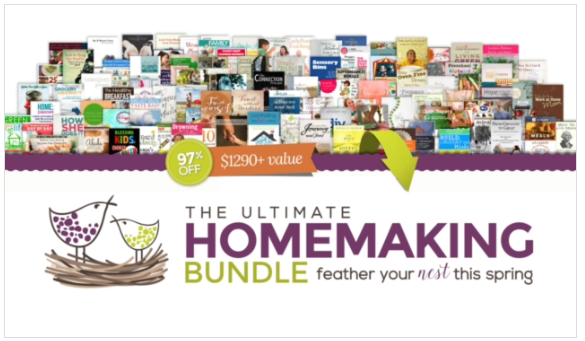 This is a reminder to get the Ultimate Homemaking Bundle for $29.97 through today only if you haven’t already! This is an entirely new bundle (if you grabbed last years) and includes books covering everything from keeping a cleaner house to homeschooling, potty training, and marriage. I am thrilled not only with all the books in the bundle, but this year I’m one of the participating authors! That breaks down to 30¢ per item. It’s kinda like giving yourself a massive Mother’s Day present! Don’t miss out!